I remember when I first saw this cover. I was taken aback by the logo being blasted apart by Havok’s rage. 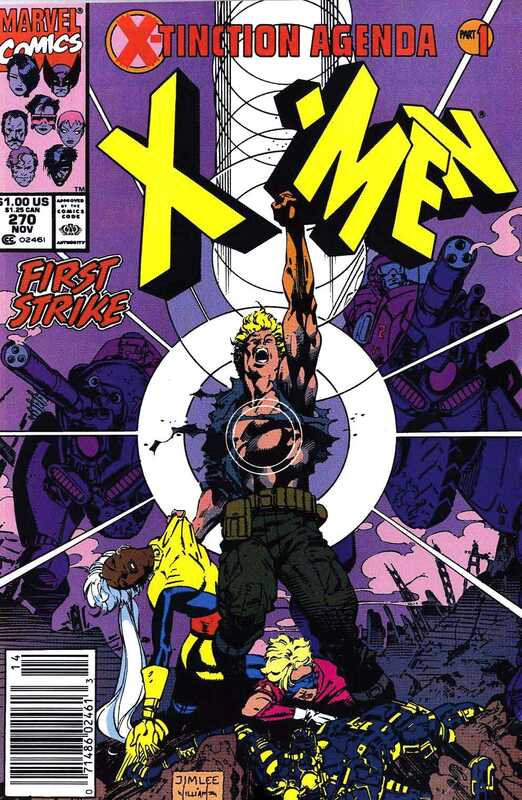 I read that “X-Tinction Agenda” banner and believed that the X-Men would never be the same again (this time for sure)! Most importantly, I had to know what fate had befallen Storm for her to be held like by Havok (who was inconveniently brainwashed again)! I chose this cover because it looks like I feel right now. Like Havok, I have been holding in large amounts of energy for a specific purpose, carefully guiding its intention, and now it is time to let loose! Rio and I embark on our travels in two weeks! Monday the 30th – 12, 1, 2, 3 & 4pm. Call Swankety Swank at 415.932-6615 or email HeroicTarot (at)gmail(dot)com. Walkins welcome. I am super-excited that Havok will be appearing in the X-Men: First Class movie coming out on June 6th! I am also psyched to see Banshee in action as well! Y’all know how much I miss Sean Cassidy in the comics. Will this bring us a resurrection? I can only hope. I have been interested in the celluloid version of Emma Frost as played by January Jones. Early look points to awesome. I will be attending an early screening and whether it rocks or not I will review it for your edification and entertainment! Meanwhile, I hope you have had a chance to catch Thor on the big screen. I viewed an early bootleg copy in the middle of the Tennessee woods before it came out and then witnessed the film at an outdoor drive in theater. I loved it both times. I adored the earnest good naturedness of Chris Hemsworth’s portrayl of the thunder god. He seemed to be at ease with his power and really enjoy his job. I have always loved Marvel’s version of Thor because he’s somewhere between a humanized mythogical hero and a overly powerful super-hero. I think the film paid respect to both aspects of the character. Tom Hiddleston’s portrayal of Loki was deliciously angry, pouty and devious. I really loved Ildris Elba as Heimdall. He was strong, noble and magnificent. Natalie Portman gave a performance more akin to her role in V for Vendetta as opposed to her gig as Mrs. Darth Vader. Above, Joe Madureira draws a tender moment from page 4 of The Uncanny X-Men # 326. Just as Storm reaches out to Gambit, I would like to take this moment to thank Swankety Swank for hosting Heroic Tarot. I could not have asked for a more sacred space in which to assist my clients with their challenges. Swanketey Swank is a hearth in its own right, housing the works of the best artists the Bay has to offer. This home can inform yours with an earth-centered beauty and charm that is a wonder to behold. My love and appreciation goes out to Yabette Alfaro, her husband Alex, and their son Ian. Get to know them. You will be glad you did. Thanks to all of the artists and performers with whom I have crossed paths. I enjoyed working with and alongside you. You have all taught me many truths. I wish you the best and look forward to the future! Thank you to everyone who came in for a reading and took a chance on me. You made my survival possible for I could not have done this without your trust in my intentions and your confidence in my abilities. Although I will be leaving San Francisco for a while, our connections are very real. I have always done remote readings and will continue to do so whether over the phone, email or letter (and will be looking into Skype as well). Stay connected to Herioc Tarot on this blog as I take my divinations across the country! Anyone reading this in Los Angelos or Palm Springs that wants to get a reading and/or might know where two travellers can park their bus? Hope to see many of you this weekend at Swankety Swank! STORM! We’ll all miss you tremendously. May your journey be full of insight, joy, surprise and ravishing rewards. Thank you for your luscious honey words.